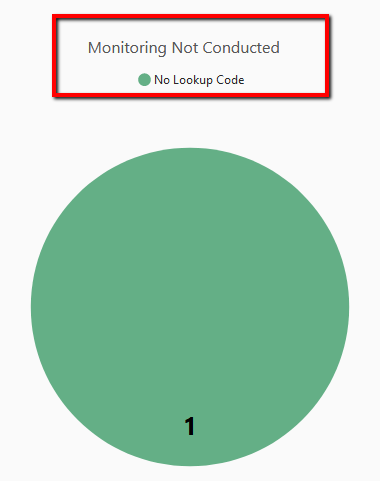 Monitoring Status by Type: Shows the Status of Samples by Type. The user can drill down to see the Status, and can drill down further to see the related Facility. Monitoring Not Conducted: Shows samples that were not conducted. Can drill down to Field Qualifier and then Facilities. 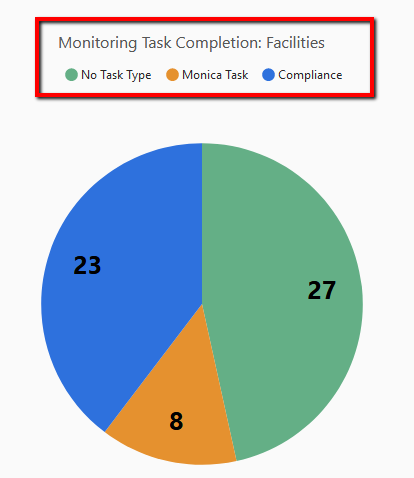 Monitoring Task Completion: Shows Status of Samples based on Task Type. Can drill down to Status and then Facility. Monitoring Priority: Shows the priority of the samples based on the Facility.